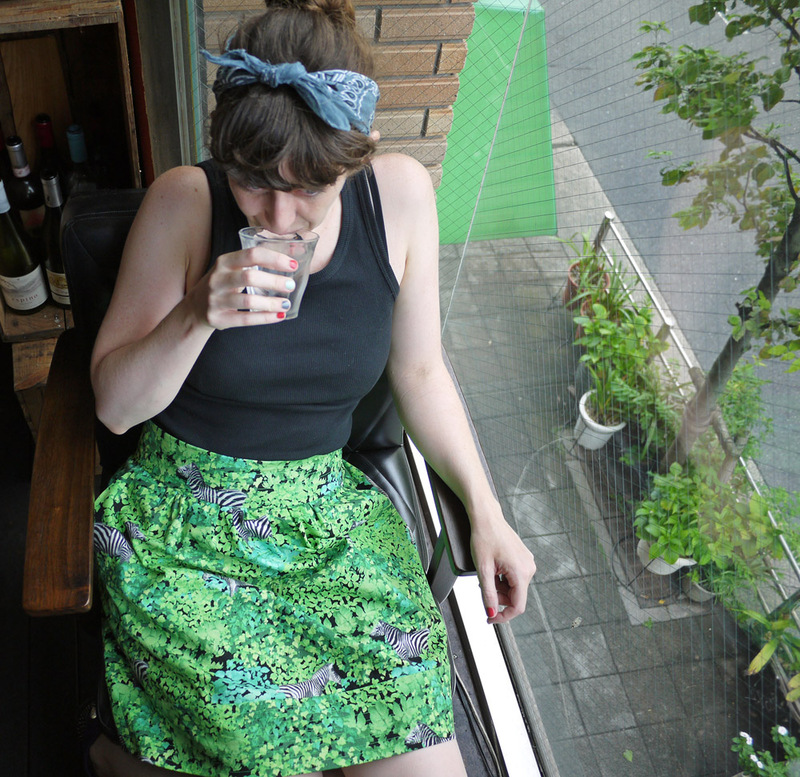 This entry was posted in Sewing and tagged animal print, Nippori, self-drafted pattern, sewing, skirt, summer, summer skirt, Tokyo, zebra. Bookmark the permalink. This is the loveliest skirt with animal print ever :)Topstitched waistband and hem make it look very special! I’m also not a big fan of the animal print fabrics, but zebra in the forest in not an animal print, it’s a whole animal, and that’s different. *^v^* Congratulations on the new skills! I like the topstitching detail, it definitely makes the skirt more interesting. Great job! You are so cute! Fun, fun, fun….nice job too! Seeing the skirts you’re sewing makes me want to make some of my own. I’m very self-conscious about my legs, so I prefer longer skirts (usually ones down to my ankles), but I’ve had a couple of patterns in mind that I want to try out and the way you’re showing off some of your skirty talent really makes me want to sit down and actually get started on some for myself! Wow, great job on copying that pattern! 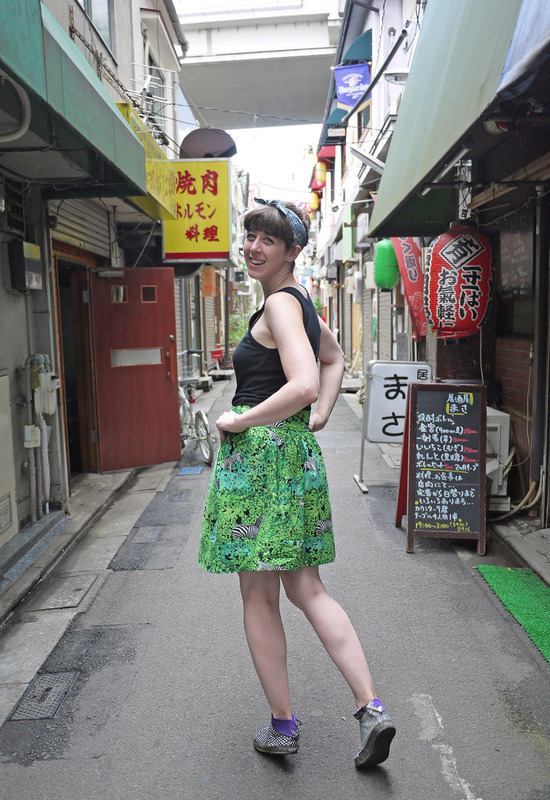 Gorgeous skirt, and that fabric is so fun!